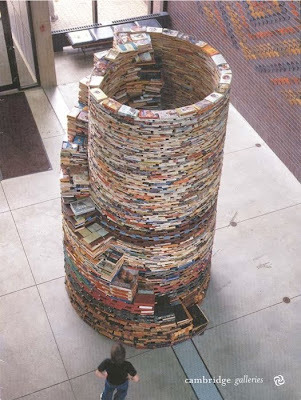 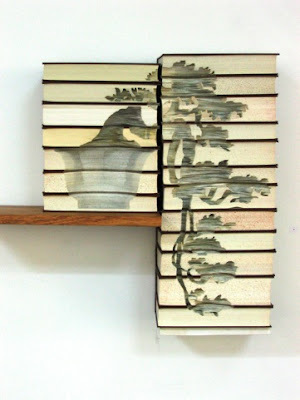 Here are some great ideas to reuse old books and turn them into something artistic and creative. 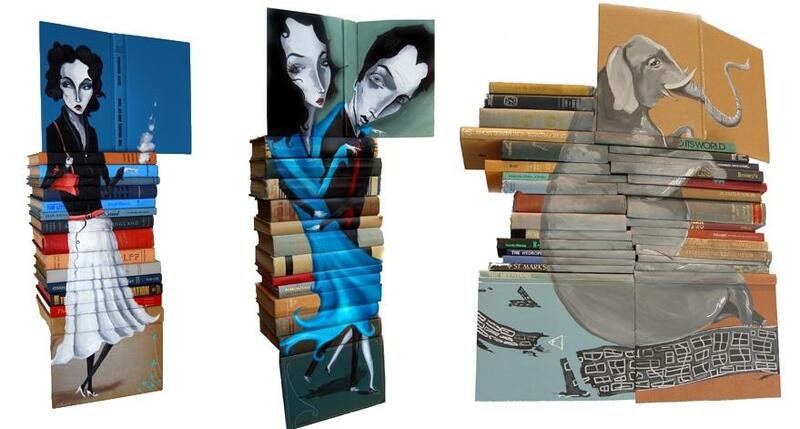 Incredible Book Paintings: Artist Mike Stilkey creates this amazing work of art by painting on books. 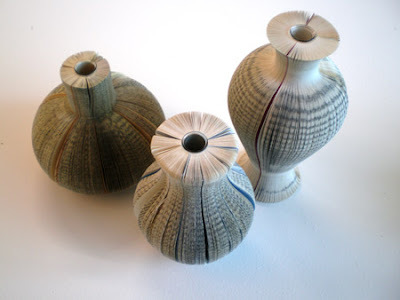 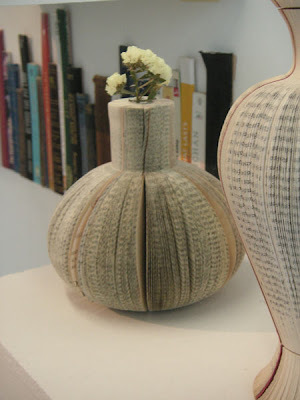 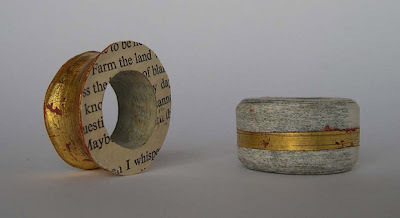 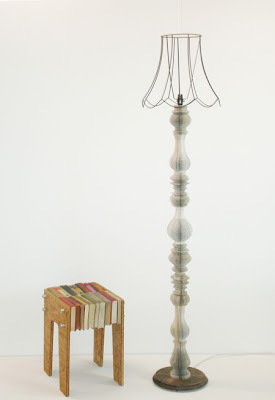 Book Vases and Lamp: Creation of Laura Cahill; these book vases and lamp are created out of old books. 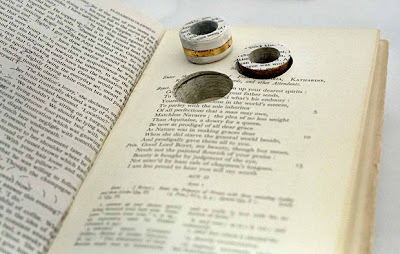 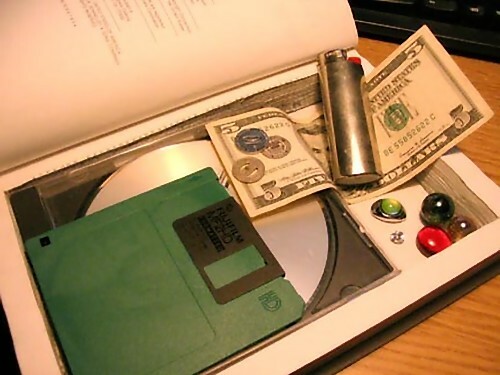 Make A Secret Hollow Book: Have you ever thought of making a hollow book for yourself to hide your treasured items? 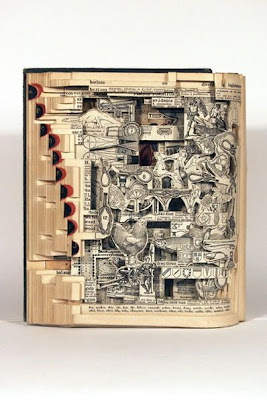 Notebook: Creation of Kyle Bean, an illustrator, designer & maker of 'things'. 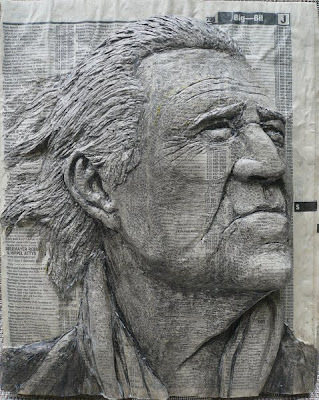 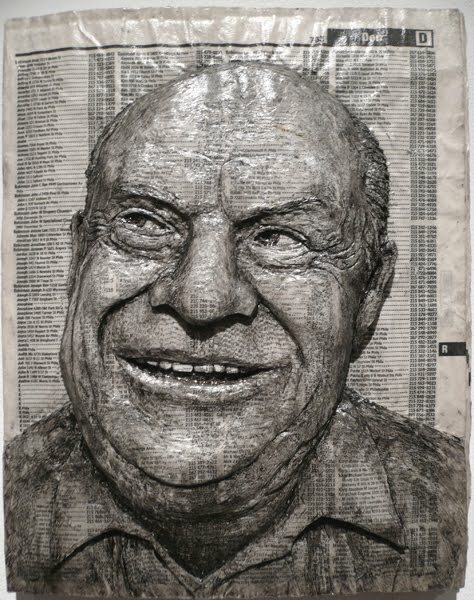 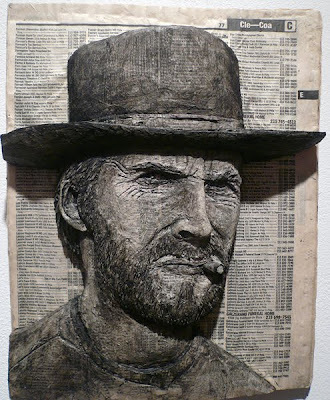 3D Phone Book Art by Alex Queral: Artist Alex Queral creatively uses old phone books; he turns them into works of art. 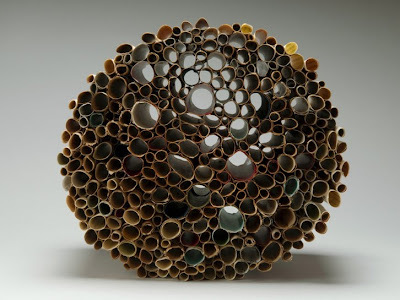 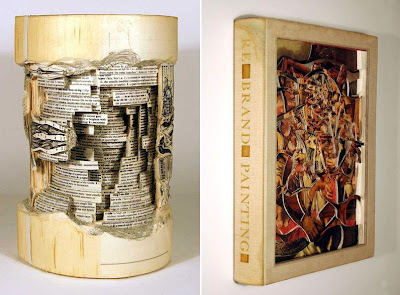 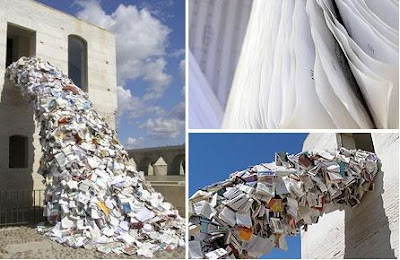 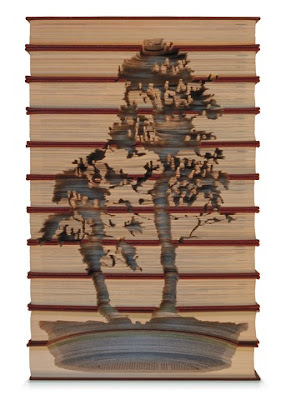 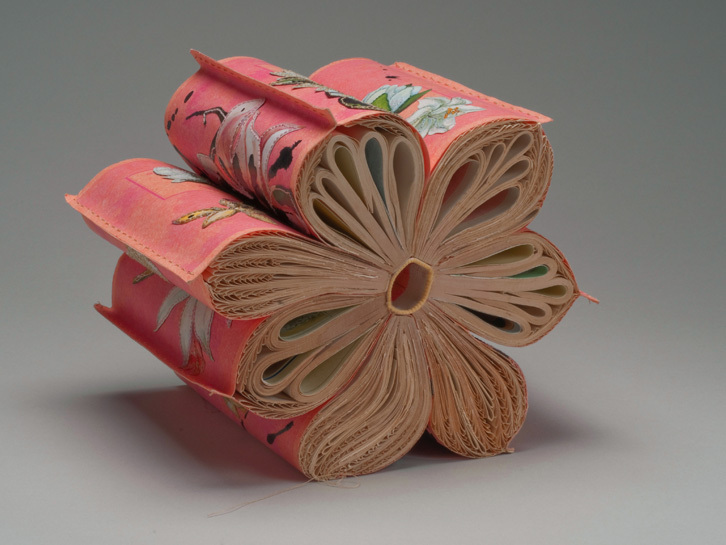 Book Sculptures: Artist Jacqueline Rush Lee uses books as her canvas; she transforms them into sculptures. 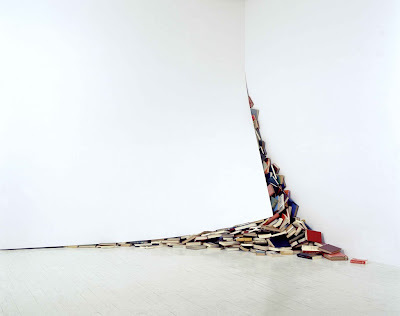 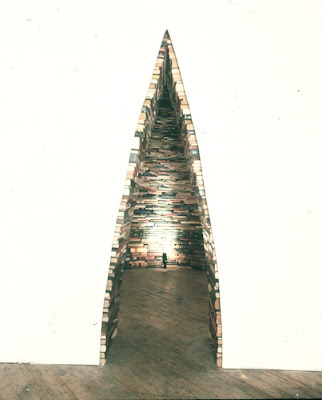 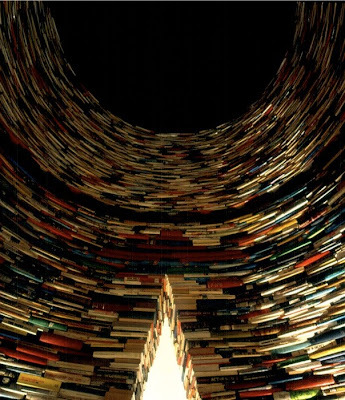 Book Installations by Bendtsen: These are the creations of artist Bendtsen. 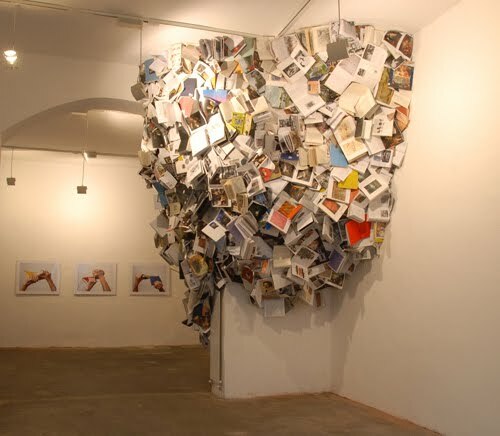 At first look these works may seem to be simply a heap of books though skillfully arranged to create a sculptural, architectural form. 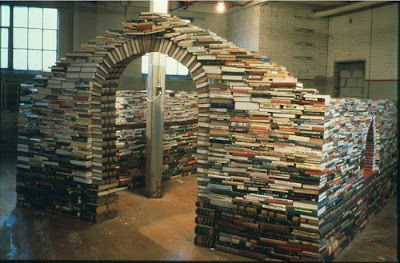 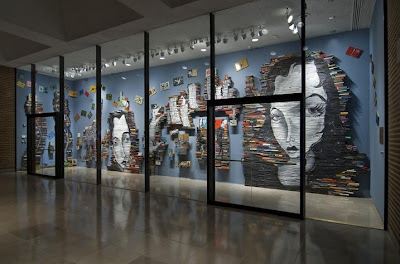 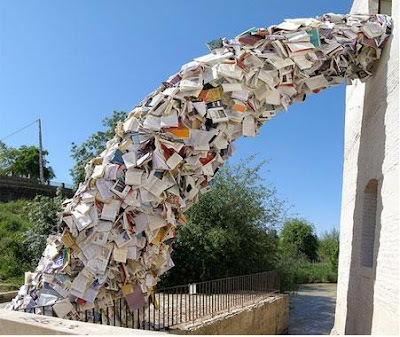 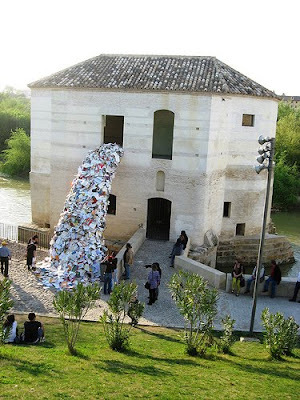 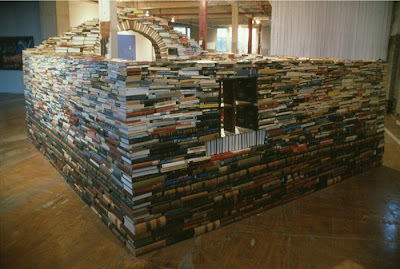 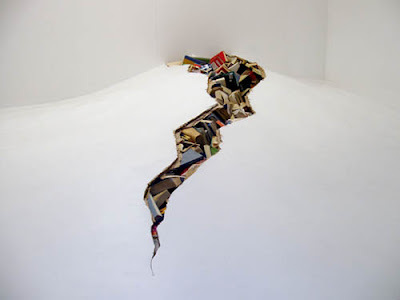 Books Installations by Alicia Martin: Creative artist Alicia Martin creates amazing installation artworks using books. 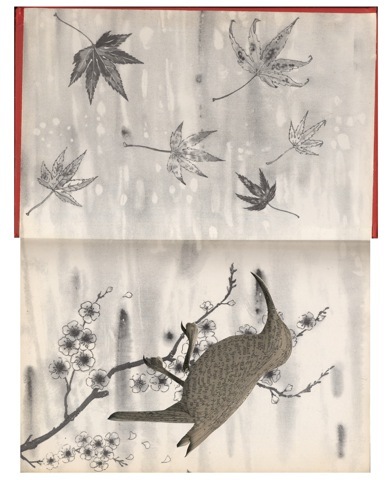 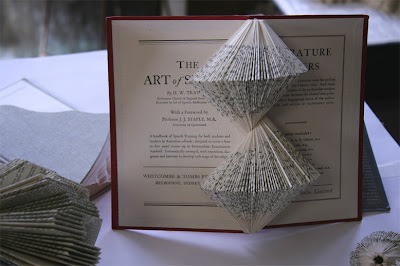 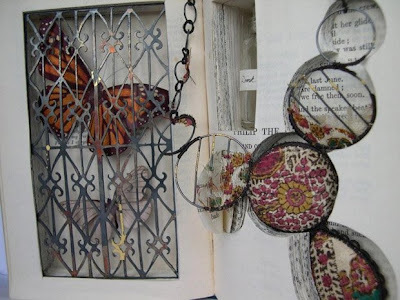 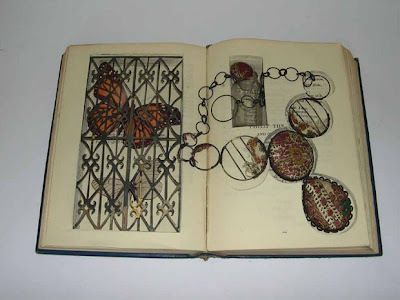 Book Art: Create cool book art using old books. These are creative creations of Scottish artist Georgia Russell. 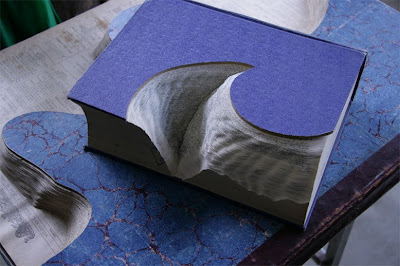 These are the creation of photographer C Borer. 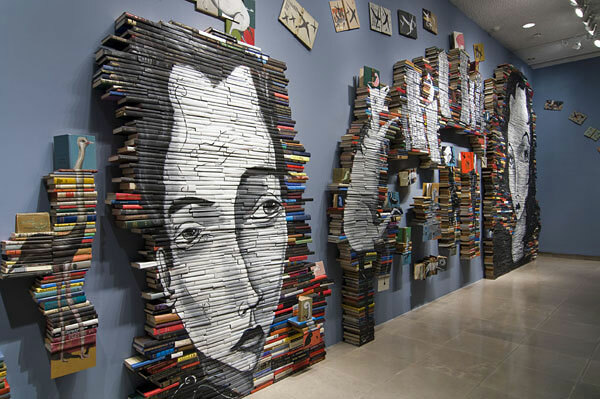 Book installations and sculptures by creative artist 'Robert The'. These creative works of art is the creation of 'Olafur Eliasson'. These delicate sculptures made of beautiful old books are the creation of Melbourne based sculptor Nicholas who uses books and printed paper to make works. These are creation of artist B Pepper; these come from 'Book Keeping'. This creative work of art is creation of artist Kylie Stillman.